In February of 2001 I visited the UK on a mixed business/pleasure trip, and my travels took me to Exeter. I had wanted to visit Ravenswood for many years but never actually did it due to various reasons, but this time I was determined. I had heard that the school had closed down years ago, so I was not sure of the reception I would get. It was a cold wet February day as I drove over the 'iron bridge' and made my way up the winding road to Stoodleigh village. As I approached the village I could see the church where we would go on Sundays and where I was head choir boy. I remember dying for the service to end so we could go back to the school and play in the woods, all day. I found the entrance to the drive way with ease and drove down the 's'shaped driveway wondering if the old saying ' you should never return to places you once knew' would be correct. As I rounded the last bend the magnificent building of Stoodleigh Court came into view looking just as it did when I last saw it almost 25 years ago. I parked my car and walked to the front door, which during all the years at Ravenswood I think I must have used only 20 times. The secretary of the company that now owns the old school answered the door, so I explained that I was an old boy and would it be OK if I took a look around. She said that was no problem and I stepped into the hall. The old hall looks exactly the same! and I mean EXACTLY the same. The gong that was used to call boys for meals is still there (even in the same place) the octaganol clock is still in the same place ticking away the years. From the hall I went into the dining room. Of course the tables and chairs are no longer there and the walls are now wallpapered and it looks a great improvement to what it was. After the dining room I went out of the building using the back door (near the small gardens) and walked around the grounds. The sun dial that Adam Viles parents donated was still there (minus the metal bits) which was bit of a surprise, and all in all it looks exactly the same as when it was Ravenswood prep school. 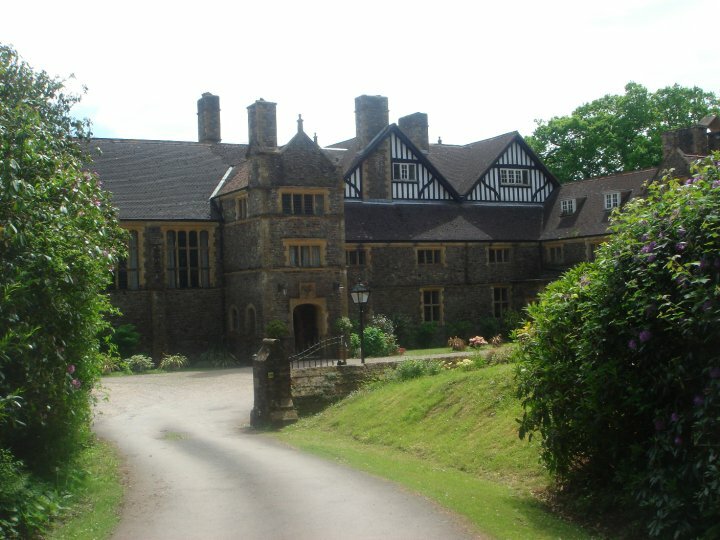 Stoodleigh court is now a venue for wedding receptions and civil wedding ceremonies as well as a conference centre. We are grateful to the owners of Stoodleigh court for the consideration it has shown to the producers of this website, and for the friendliness it shows all visiting OR's when visiting Stoodleigh Court. For those who like to get away the old head masters house and science lab have been turned into a bed and breakfast, which has been very highly rated on trip advisor.